Ekklesia Arising is simply a gathering of saints from various walks of life who are progressively pursuing the call of God to bring Christ's Kingdom on earth as it is in heaven through learning how to legislate by the highest authority of the King of Kings and to implement through wise strategies to bring spiritual awakening and cultural reformation. 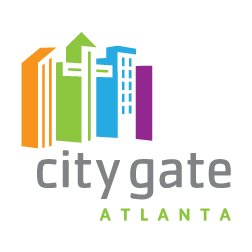 Some find CityGate Atlanta to be their "home-base" as their "congregation" and others come from various congregations, gathering with others from the broader Kingdom-family. We celebrate the great diversity of the Body of Christ and know that as we come together to worship and join the Lord as an expression of His Ekklesia on the earth, His Kingdom advances and all are blessed. This is an amazing journey of faith and love. Worship Ministry. Nathanael Flock is our Director of Worship and responsible for the scheduling, planning, equipping, and raising up of a radical company of worshippers who are set on exalting Christ and seeing the Kingdom of God manifested on earth as it is in heaven. Intercessory Prayer is a core component of CityGate Atlanta and has several dimensions that are forming and expanding. Beverly Roach is providing leadership for our intercessory prayer groups.